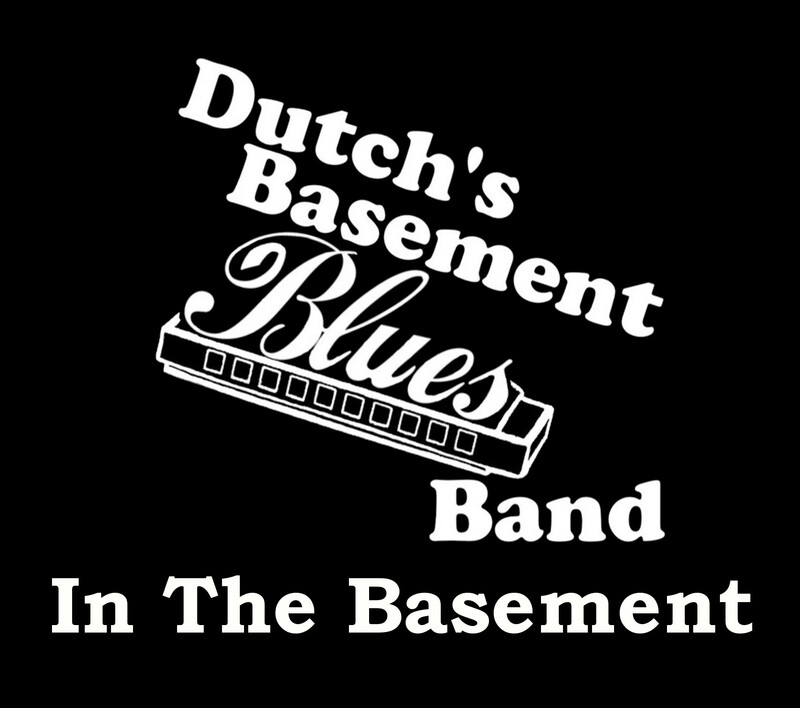 2 3/4" square vinyl sticker with Dutch's Basement Blues Band logo. White on Black. Pack of 5.